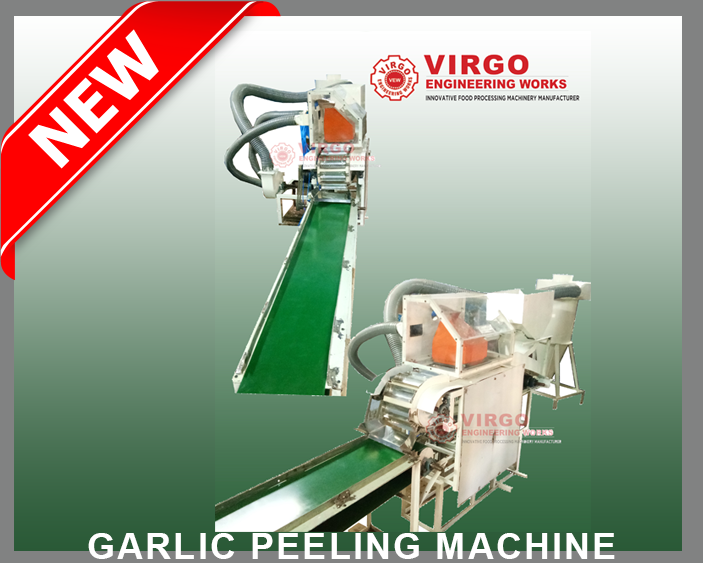 This Machine is designed to peel Garlic in an innovative way that peeled garlic are not subjected to any damage or thrust , thus it helps for longer shelf life of peeled garlic. This model is highly recommended for Exporting Fresh peeled Garlic. Suitable for selling peeled garlic to hotels, restaurants and super market. The method adopted to peel garlic is using compressed air and all the process are controlled by automation. This machine can be also be suitable for peeling Shallots (Sambar onion). A Programmable logic controlled machine for trouble free operation. We are in pre-food processing machine manufacturing for more than 15 years. Copyright © 2015 Virgo Engineering Works. All rights reserved.